If you have been injured on the job and are about to file a workers' compensation claim, be warned that there will be a considerable amount of information that the insurance company handling your claim will obtain about you in order to accept or deny your claim. On behalf of Koszdin, Fields, Sherry & Katz posted in Workers Compensation on Friday, May 25, 2018. If the recent Facebook scandal is any indication, people are becoming increasinbly concerned about their privacy and how their data is being used by the U.S. government and third parties. If you have been injured on the job and are about to file a workers’ compensation claim, be warned that there will be a considerable amount of information that the insurance company handling your claim will obtain about you in order to accept or deny your claim. These days, when our information seems to be up for grabs for government entities and private businesses in Los Angeles and all across California, it is relatively easy for insurance companies and their investigators to gather information about you without having to contact you. Collecting background information about a claimant in a workers’ compensation case is a standard procedure to establish the validity of the injured worker’s claim. You may be surprised how many injured workers across California provide false or inaccurate information about themselves, their pre-existing medical conditions and the workplace injury. 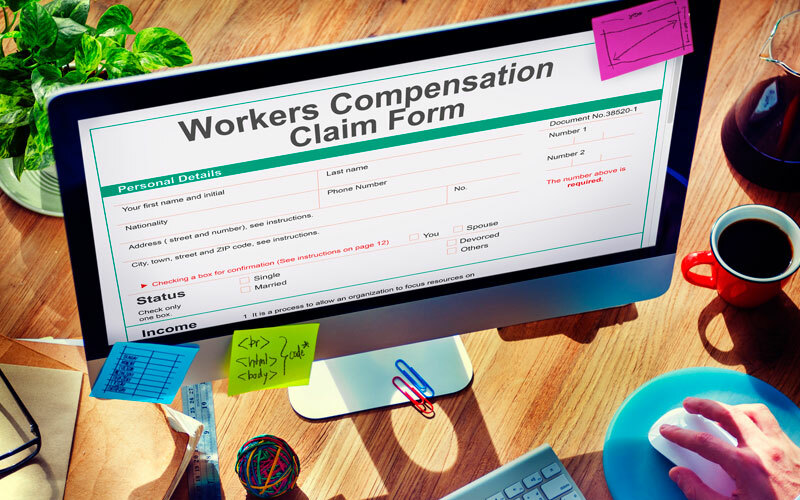 Our Los Angeles workers’ compensation attorney at the Koszdin, Fields, Sherry & Katz law firm has outlined the things insurance companies know about you after you file a workers’ comp claim. What kind of information do insurance companies collect? First of all, insurance companies can gather information about you by getting statements from people who witnessed your on-the-job injury and/or your coworkers who know a thing or two about you, your behavior, past, financial situation, health, hobbies, family life, job duties, performance, and a whole lot more stuff. Second of all, an investigator handling your workers’ compensation claim will most likely gain access to your personal file, which contains a wide range of information about you, including but not limited to your residential address, information about your spouse and children, emergency contact info, health insurance information, your resume along with education and former employment, hobbies, wage information, attendance at work, and other stuff. The third step is usually looking you up in an index search. Our workers’ compensation attorney in Los Angeles explains that the vast majority of insurers in California subscribe to an Index Service, which is basically a huge database in which insurance companies share information about their policyholders and their claims. But it is the Internet that will be a goldmine of sensitive and potentially compromising information about you. And the truth is that everyone – not just insurance companies, claims administrators, investigators and your employer – can access it. In particular, your social media presence can give insurance companies everything they were looking for (and even beyond that). Not only can they see the photos and read the statuses, comments, and captions you share on your social media accounts, including Instagram, Facebook, and Twitter, but also see who you are friends with (the coworkers you are not friends with on Facebook will be the first people they will interview after a workplace injury in a bid to gather compromising information about you). Social media can also reveal the activities you engaged in after getting injured. If you claim that you cannot walk after the on-the-job injury, but your social media accounts show photos of you performing physically-demanding work or even simply shopping for groceries, partying or going on a vacation, chances are your workers’ compensation claim will be denied. Our Los Angeles workers’ compensation attorney at the Koszdin, Fields, Sherry & Katz law firm strongly recommends to deactivate your social media accounts until your claim is approved or at least refrain from sharing anything that could potentially raise suspicions on your social media accounts. Contact our law firm to find out what other types of information insurance companies know about you after filing a workers’ comp claim. Call our offices at 818-812-5639 or (toll free) 800-747-3447 or complete this contact form to get a free consultation.